A great way to carry baby, keep kids close and safe at hand, in crowds, or during family outings. Convenient for you to take care of baby when shopping, travelling, walking or other outdoor activities. 1. When You Apply The Carrier By Yourself, Please Make Sure The Carrier is Safe, Adjust The Belt Length, Fasten The Lock And Push Out The Carrier From Both Sides By Grasping It With Both Hands. After You Ensure That It Fastens Completely, Carry The Baby With Both Hands, Place Its Legs First From Upwards Into The Carrier. 2. If There Is Anybody To Help You, Please Place The Baby In It At First And Then Carry It. Ask Somebody To Help You To Fasten The Lock Behind. 1.Please Check The Carrier and Its Fittings Before Application. 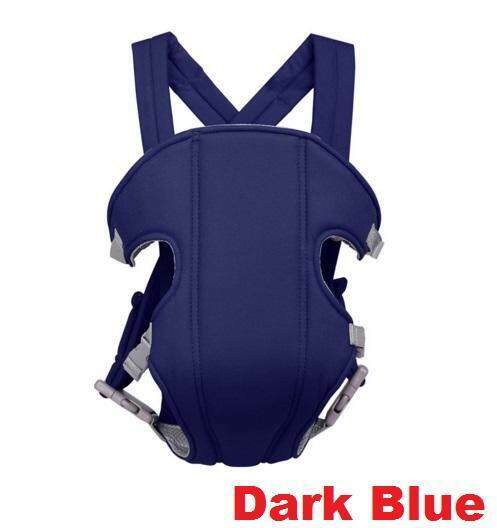 2.It Is Suitable For The Baby Of 3-24 Months Old With The Weight Not more Than 12kg. NeverUse For Little Infant That Cannot Raise Head By Itself. 4.Never Cleanse It With Bleacher And Strong Washing Powder To Avoid The Baby Hypersensitivity.